Yo Frankie (114mb ver1.1 made 2008, no install .zip) is a brilliant 3D adventure game. 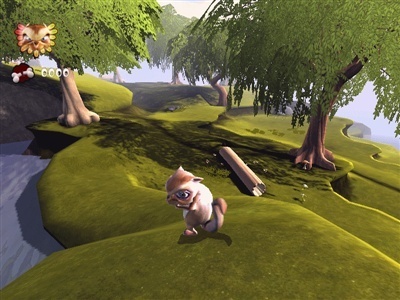 Developed under the Apricot Open Project at the Blender Institute with many game supporters, made with the Blender Game Engine and also supports the Crystal Space Game Engine. 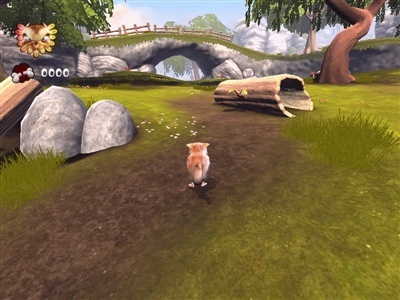 You are a cute and furry but mean gliding squirrel on a mission who is able to run, jump, glide and attack to collect bonuses. Oh and nuts to throw them at opponents, don't forget those acorn nuts, collect them where you can as you never receive many of them. This game is more about exploration and reaching the end of each level and is never too demanding, perfect for every gamer. The levels are not huge but large enough to get immersed into. 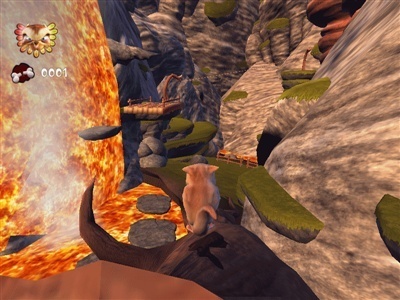 The 3D levels design is top notch with lovely music and humorous sound effects. 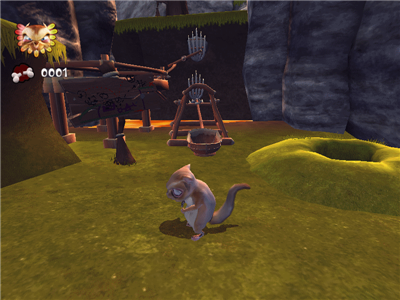 There are 3 very nice levels to complete; Nut level, Lighthouse level and Underworld level. 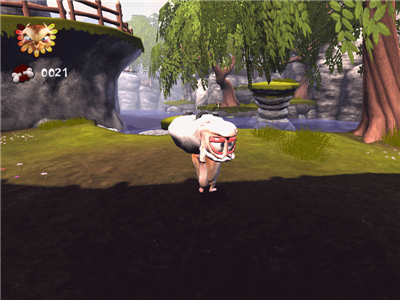 There are some puzzle elements which you'll need to solve and some platforming areas. You will be presented with some general help signs along the way. The game plays smoothly however there are a few little bugs. I found that running and then trying to turn left wasn't working correctly. 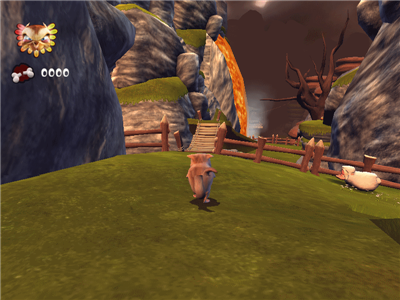 The rams (male sheep) in the game would often get stuck within the scenery and even go through some of it and just the general interaction with the animals didn't seem the best as well as jumping, grabbing objects etc. With these few little issues, I'd still recommend downloading this gem of a freeware game. It's a bit on the large size for a free game but well worth it. Two thumbs up from me. Game available for Windows, Linux and Mac. To play this game you will need a half descent 3D graphics card.